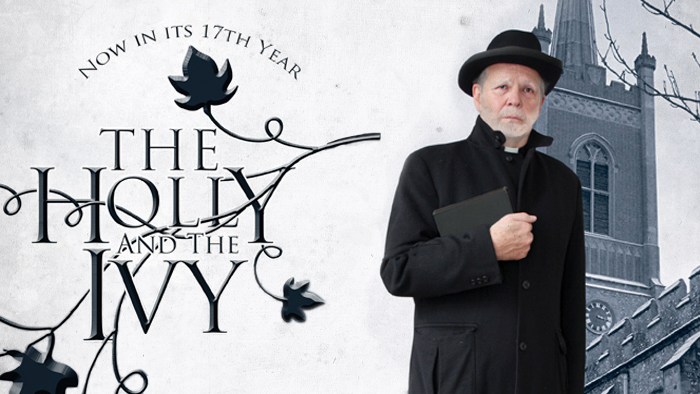 Award winning Middle Ground Theatre Company bring you their highly acclaimed production of THE HOLLY AND THE IVY. Set in a Norfolk vicarage on Christmas Eve 1947, the vicar’s family gather for the festive season. Peace and goodwill radiates from the warm-hearted elderly vicar, cared for by his young daughter. But with the arrival of two irritable aunts and an errant daughter the emotional veneer is skilfully peeled away. As skeletons tumble from closets and stones are turned over, family members are forced to confront their regrets and secret anxieties. Even the lovable vicar is not immune to the stresses and strains of a normal family life. This wonderful festive production has received the Theatre Critic’s Choice in both The Guardian and The Times, and stars Stuart McGugan (It Ain’t Half Hot Mum/Tutti Fruitti), Corrinne Wicks (Emmerdale/Doctors), Tom Butcher (The Bill/Doctors), Dean Smith (Waterloo Road) and Hildegard Neil (Antony & Cleopatra).